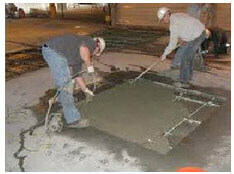 Get Driveway Repair In Fort Worth, TX. Contractors End Crack Damage. Get Costs, Estimates. 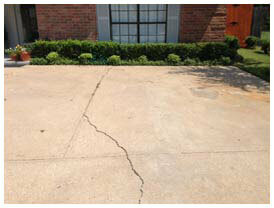 Is driveway repair in Fort Worth, TX, Arlington or other cities needed? If so, contact the pros at HD. 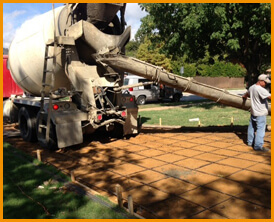 We’re contractors that pour and pave driveways in all metroplex cities, including Arlington and Fort Worth. Because we’re expert driveway repair contractors, we can be of assistance. So why wait? If you need driveway repair on crack damage, please let us know. It’s a good idea to have your driveway fixed as soon as you see cracks in the surface of it. That’s because what starts out as a hairline fracture can quickly become large. When you see major cracking or your driveway isn’t level, that’s when it’s wise to enlist an expert. We’re a commercial and residential driveway repair contractor in Fort Worth and Arlington that has a Better Business Bureau rating of A+. To find out about fees, you’ll need to visit with a qualified contractor. Costs for fixing, pouring and paving driveways in Fort Worth vary, and can be as low as $1,800 for smaller surfaces or as high as $10,000 for big ones. Prices are based on a number of different things and thats why it’s imperative to have your driveway inspected. So study what driveway repair costs in the Fort Worth, Arlington area. Driveway resurfacing, paving and other services are available. Remember: The thickness of your driveway also impacts fees. While some people choose to have driveways that are 4″ thick, your driveway will resist cracks and be more durable if it is 5″ thick, although 3-1/2″-4″ is common for residential driveways. While making it 1″ thicker may increase your cost by 20-25%, it will make your driveway 50% stronger. That helps prevent fractures and driveway damage. If you live in Fort Worth, Arlington or the metroplex, make your driveway level to prevent deterioration. 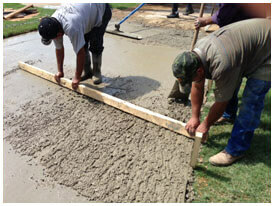 Get Free Estimates On Driveways.